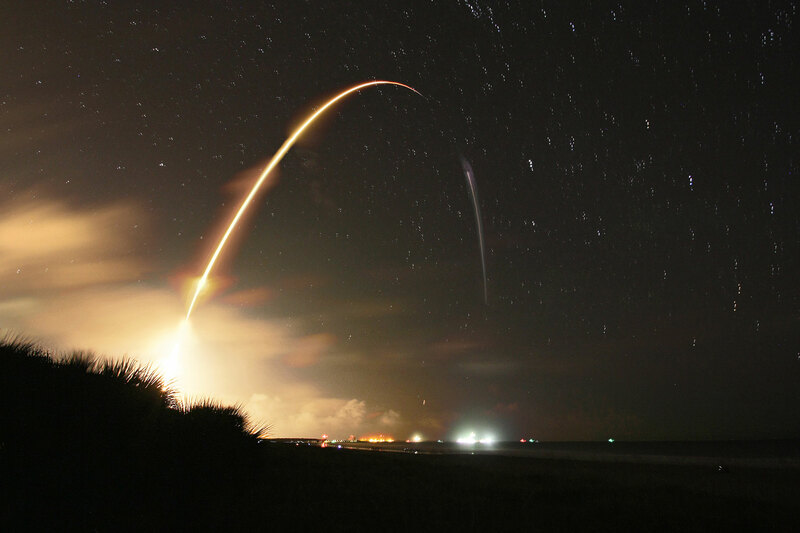 A SpaceX Falcon 9 rocket with a Dragon cargo spacecraft on top launched from Cape Canaveral Air Force Station’s Space Launch Complex-40 in Florida at 1:52 a.m. EDT, Sept. 21, 2014. In this four-image composite, the launch, second stage burn to orbit and the Falcon-9 vertical soft landing test are all visible. As part of the CRS-4 mission, the Dragon carried more than 5,000 pounds of supplies, science experiments, and technology demonstrations to support 255 science and research investigations aboard the International Space Station.